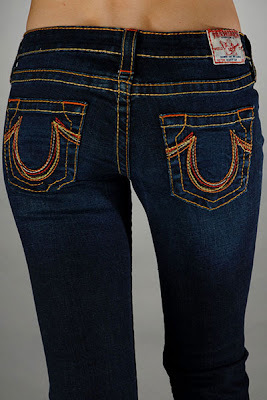 The legal blog with what has to be the longest name ever, the Los Angeles Intellectual Property Trademark Attorney Blog, brings our attention to an almost perfect trifecta of intellectual property ownership, where jeans are protected by patent, trademark and copyright. Almost perfect, because while the same stitching design on the back pockets is protect by both patent and trademark, the copyright registration is for the label. There’s no reason one couldn’t obtain a copyright registration for an applied stitching design, though.